Songs like ‘Suffer More’ and ‘Wait Until Tomorrow’ wouldn’t sound out of place on an Alter Bridge album, whereas Black Stone Cherry would be inordinately proud of the likes of the first single release ‘Fallback’, and if ‘I’ve Been Found’ doesn’t have you stomping your feet like some of the best Clutch tracks you’ve heard, I’d be surprised. I have to give bonus points for the glorious cowbell in ‘Bring You Pain’ too – plus ‘Blues For A Phantom Limb’ might just be the track title of the year, while also reminding me of some of my favourite tracks by The Union to boot. 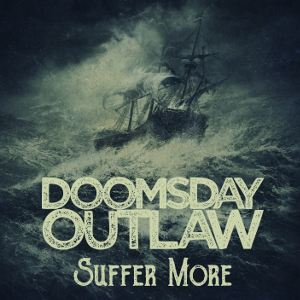 It’s like a smorgasbord of the best of the classic rock genre, all filtered through Doomsday Outlaw’s own sensibilities to produce something that’s at once familiar but still distinctive. It really is an absolute pleasure to listen to this album. It just oozes class and swagger and style. Everything just works and flows together smoothly. Bluesy guitar riffs abound, vocals strut over the top, and the rhythm section holds everything together with aplomb. It’s right up there with the best I’ve heard so far this year and should be on your playlist right now.